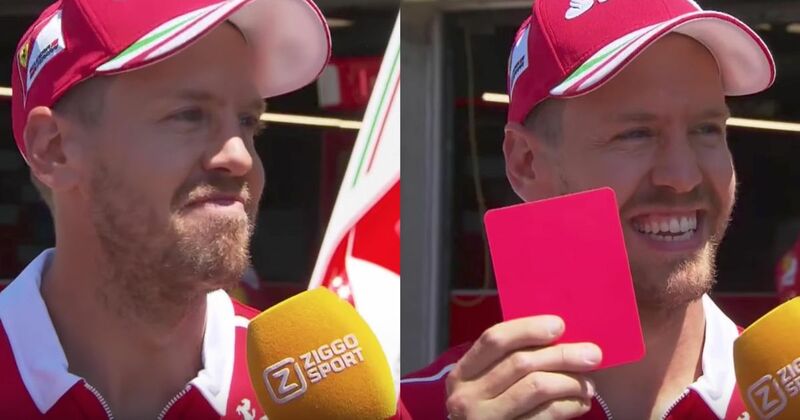 It’s always nice to see F1 broadcasters trying out different styles of interviews, and Dutch TV channel Ziggo Sport decided to do a light-hearted “yes or no” interrogation of four-time champion Vettel. Because it’s being shown in The Netherlands, though, it – of course – had to be changed to “ja” (yes) or “nee” (no). The interview makes for pretty hilarious viewing, mostly because Vettel can’t help but try to explain himself after each answer. And no, Seb, a shrug isn’t “ja” or “nee”. To be fair to the Ferrari driver and 2017 title contender, though, some of the questions are brilliantly tricky – such as, if Max Verstappen will be his team-mate next year. It’s brilliant, because you can see Vettel getting a bit uncomfortable and how hard he has to think about which answer to use – and there are only two to choose from! He also used his joker far, far too early, which didn’t help him later in the interview. More of these in the future, please.